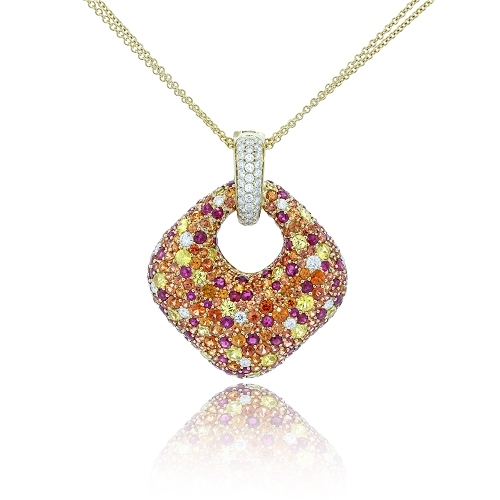 18k yellow gold pendant composed of rubies, orange & yellow sapphires & diamonds creating a warm mix of colors, suspended from a multiple rolo chain. Diamonds approx. .89ct. Chain 20"